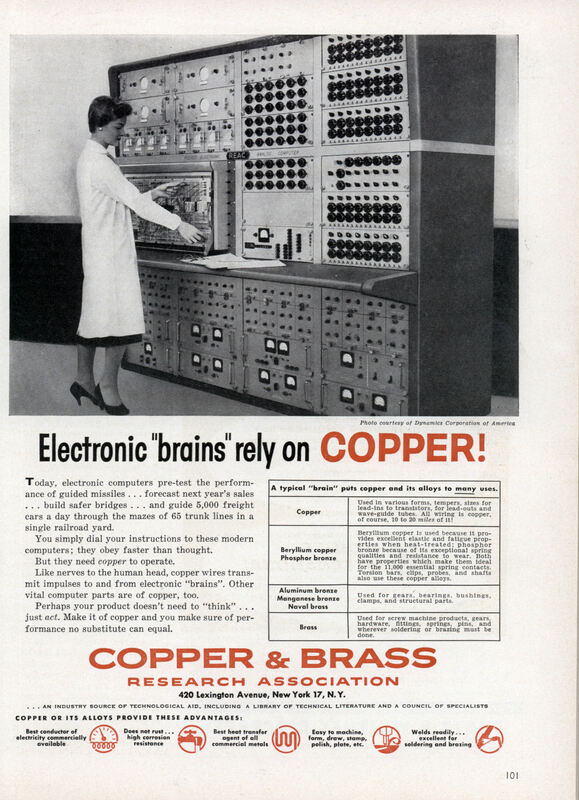 Electronic “brains” rely on COPPER! Today, electronic computers pre-test the performance of guided missiles . . . forecast next year’s sales . . . build safer bridges . . . and guide 5,000 freight cars a day through the mazes of 65 trunk lines in a single railroad yard. You simply dial your instructions to these modern computers; they obey faster than thought. But they need copper to operate. Like nerves to the human head, copper wires transmit impulses to and from electronic “brains”. Other vital computer parts are of copper, too. Perhaps your product doesn’t need to “think” . . . just act. Make it of copper and you make sure of performance no substitute can equal. 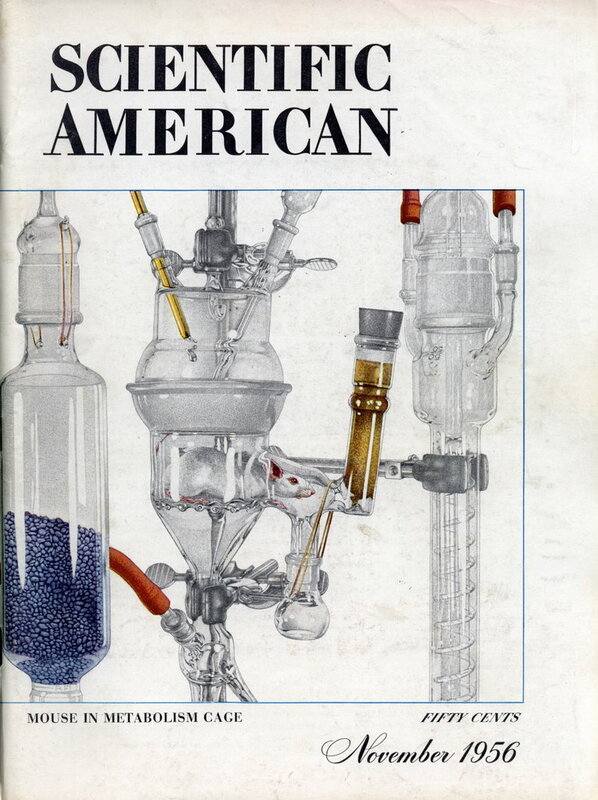 420 Lexington Avenue, New York 17, N.Y.